RILEY, C. M., and Wiesner, C. J. (1990) Off-target pesticide losses resulting from the use of an air-assisted orchard sprayer. Pesticide Formulation and Application Systems: 10th Volume, ASTM STP 1078. L. E. Bode, J. L. Hazen and D. G. Chasin, Eds., American Society for Testing and Materials, Philadelphia. pp 204-225. RILEY, C. M., Sears, I. I., Picot, J. J. C., and Chapman, T. J., "Spray Drift Task force Droplet Evaporation Studies", Pesticide Formulations and Application Systems: 14th Volume, ASTM STP 1234, Franklin R. Hall, Paul D.. Berger, and Herbert M. Collins, Eds., American Society for Testing and Materials, Philadelphia, 1994. RILEY, C. M.. Techniques for the Measurement of Pesticide Spray Drift. 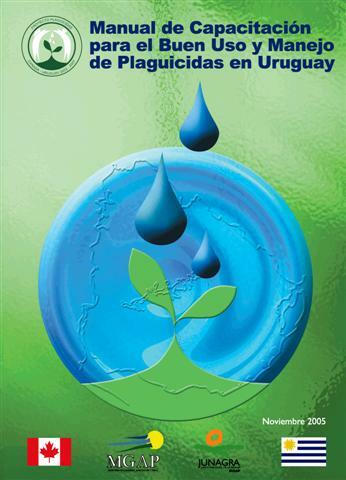 Proceedings of the National Conference on Pesticide Application Technology, August 10-11, 1995. University of Guelph, Ontario. Pub. Ridgetown College of Agricultural Technology, Ridgetown, Ontario, Canada 1995, 203 p.
RILEY, C. M. and Wiesner, C. J. 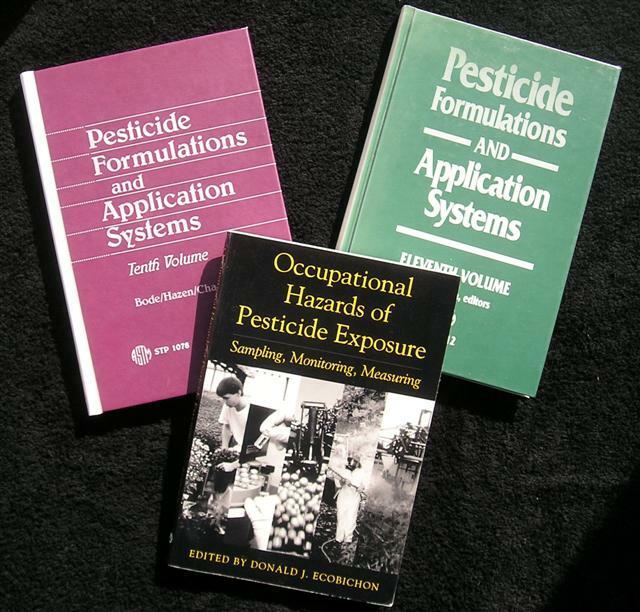 "On Target and Off-Target Depostion" in "Occupational Hazards of Pesticide Exposure. Sampling, Monitoring, Measuring". Ecobichon, D. J., (Ed.) Taylor and Francis, Philadelphia, USA. 1998. RILEY, C. M. A Summary of Spray Drift Research in Canada in Canada. In Proceedings of the North American Conference on Pesticide Spray Drift Management. March 29 - April 1, 1998. Portland, Maine. D. Buckley, (Ed.). RILEY, C. M. and Fusco, R. (1990) Field efficacy of Vectobac -12AS and Vectobac -24AS against black fly larvae in New Brunswick streams (Diptera: Simulidae). J. Am. Mosq. Cont. Assoc. 6 (1): 43-46.